Are you in the market for a pair of high-quality women’s fashion western boots? You’ve come to the right place! 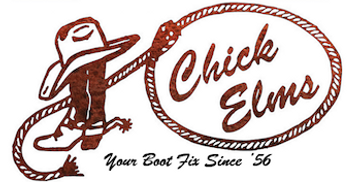 Chick Elms offers a complete line of boots in several styles, including casual, western, and exotic, to meet everyone’s unique needs. If you’re looking to make a statement, consider looking at styles with thick stitching and bright colors. Want something subtle? Select a neutral tone for a classic look. Perfect to pair with your favorite jeans or dress, a nice pair of high-quality women’s cowboy-style boots are a great fashion accessory that can complement almost any outfit. Explore our vast selection of women’s fashion western boots below. If you’re not sure which pair is right for you, feel free to contact us for assistance. We look forward to helping you find the perfect pair of women’s cowboy-style boots!